A Blog is a one type of website where you can share your thoughts, ideas and anything you like, you can also teach people via blog. You can write posts that can be helpful to your readers to learn something from you, it is a great way to connect with people online. Blogging is also useful to earn decent money. To create a Beautiful blog you need to have a platform that is easy to use and provides customization tools that are useful to create an interactive design and give your readers everything they need to read with your blog. There are lots of blogging sites available on the internet that provide free services and also paid services. Worpress is a Most Popular Content Management System. There are two platforms available in wordpress wordpress.com and wordpress.org. wordpress.com is the most popular free blogging platform, you can rapidly create a new blog for free and it is search engine friendly. It works for everyone who wants to create a blog for free with a subdomain. It also offers services such as hosting, custom domain, integrating your blog with social media and more features as comments and polls are available without installing a plugin. The biggest issue with wordpress.com is that options such as custom themes, plugins and editing HTML are not available. You have two options to create a blog with wordpress that are wordpress.com and self-hosted WordPress blog on your own server. wordpress.org is another version of wordpress that highly recommended platform for blogging and creating a professional website or business. It provides additional customization features it lets you install themes and plugins to make your blog look exactly how you want. To use this platform you need to find you own web host. 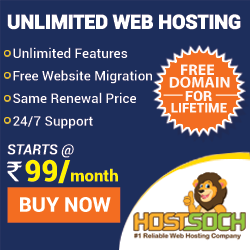 Most web hosts provide wordpress as free single-click install. This version of wordpress is highly flexible, scalable, user friendly and search engine optimized. You can also create a blog or website in your local computer by downloading wordpress software from wordpress.org it is a free to download and install it on WAMP or XAMPP. Blogger is very easy platform for beginners to create a blog. It is free and simple to use for anyone who just starting a blog. With blogger you can just type your content, add images, YouTube videos and publish. Bloggers also lets you edit HTML and add widgets to your blog. Blogger is a Google service so you can signin to blogger account with your gmail ID. You can create a free blog with subdomain like yourname.blogspot.com and also use a paid custom domain. Blogger allows you to run advertisement like Google adsense or other advertisement networks to earn money from your blog. Tumblr is also very popular blogging platform and it is easy to use. The big advantage of Tumblr is that it is focused on the community of bloggers, so it provides a variety of options for sharing and reblogging content. Tumblr is also known as informal micro-blogging. You can start a Tumblr blog in less than 5 minutes, and all you have to do to publish something is pick your post-type (image, video, link, text, etc) input your content and click “publish”. Tumblr has a huge array of themes to create a beautiful blog. The big disadvantage of Tumblr is that it is not optimized for text or writing. Drupal is not just a blogging platform, but It is a complete content management system, so Drupal is a greate option for bloggers to create blogs associated with business. Drupal does not host blogs for users, so you have to find your own host. If you are looking for a full content management system, Joomla is another great option for blogging. Joomla may have more of a learning curve than wordpress, but can be much easier to use than Drupal. Joomla, however, cann be expensive. While the first month is free, after that you can be charged anywhere from $20-$100 per month depending on the options and upgrades you want. Medium is set up by Twitter’s co-founders and it is also a free blogging platform, it is a place to blog if you want your words to be taken seriously. You can write anything of your choice from your thoughts to serious topics. It is a great way to reach out to the targeted audience. Medium is easy to use, with no setup required and no coding skills needed. Medium is made for writing and reading. If you want just to write, and you don’t care much about customization and making money. You cannot run your own ads on Medium to make money. Weebly is a free website creation platform that provides free blogging templates. Weebly is based on drag-and-drop components which enables you to quickly create new pages. You can get access to customizable layouts, wide range of free themes, and sharing features to spread your words far and wide. Ghost is an open source blogging platform that provides a simple interface to create a blog. It also provides a live preview of your post while you are writing it. This platform can be great for beginners because of its ease of use. You need to be technically minded for this one. Ghost is only free if you download and install it yourself. Squarespace is a blogging platform that offers a wide variety of options. You can change everything without knowing how to code. It also lets you expand your service which is a great option if you are using your blog for business. If you want to use themes and plugins on squarespace, knowledge of code will be necessary. Typepad is a blogging platform that provides a wide range of themes and plugins. All Typepad blogs are hosting by them on their server. So you do not have the option to use this platform with your own blog host. LiveJournal is a combination of both blog and social networking. LiveJournal started in 1999 as a social networking site but over the years it has transitioned into a blogging platform. This free blog hosting site includes numerous templates and lets you add your own custom HTML and CSS. What’s your favorite blogging platform? Blogging blogger, blogging platforms, drupal, free blogging platforms, ghost blogging platform, How to Choose the Best Blogging Platform, joomla, livejournal, medium, most popular blogging sites, squarespace, top blogging sites, tumblr, typepad, weebly, wordpress. permalink.